The Peak District was England's first national park. This beautiful region sits in the central and northern parts of England, largely within the picturesque county of Derbyshire. Diverse landscapes, abundant wildlife and a rich historic heritage combine with busy market towns and thriving cities such as Sheffield and Manchester. 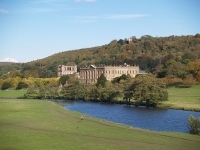 With over 22 million visitors annually, the Peak District is a major UK tourist destination, and the Peak District National Park is one of the most visited parks in the world. The district is generally divided into three main areas, each with its own distinctive topography. White Peak in the south is characterised by its limestone landscapes with a blend of flat plateaus and gentle valleys, while the South West Peak is a mix of hay meadows and moorland. The most sparsely populated area is Dark Peak in the north, where dramatic gritstone plateaus, craggy edges and ridges contrast with deep valleys. The whole region is rife with quaint towns, majestic historic homes, old mills and museums, as well as plenty to please the outdoor enthusiast, including top-class rock climbing, caving and fly fishing. Visitors can enjoy an authentic Bakewell pudding in the eponymous village, take a leisurely hot air balloon ride for a bird's eye view, mountain bike in the Hope Valley near Charleston, or travel back in time in an impressive country manor. It is not hard to see why the Peak District is so immensely popular, and it is well worth spending some time exploring its many treasures. An excellent choice for visitors who plan to rent their own car while on holiday in the UK.